Your child will love to take their very own Kids Folding Camp Chair to the beach, camping, picnics, sporting events and family outings. 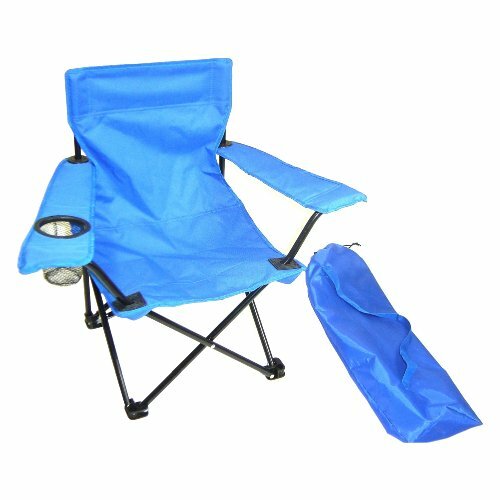 Camp Chair comes with a convenient cup holder, carrying bag with draw string and carrying strap. The safety lock keeps chair in open position and folds down for easy storage. Chair measures 14"L by 14"W by 23"H, easily wipes clean with a damp cloth. Fabric is made of with 600D PVC coated polyester. The heavy duty steel frame is scratch resistant with baked enamel powder coated.. If you have any questions about this product by Redmon, contact us by completing and submitting the form below. If you are looking for a specif part number, please include it with your message.